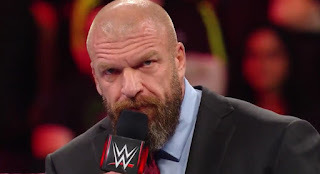 Triple H recently spoke to Stone Cold Steve Austin about the difficulties of getting two legendary stars into the WWE Hall of Fame. Those stars are Bruno Sammartino and The Ultimate Warrior, two men that many pro wrestling insiders believed would never be inducted. Much of the reason for that was due to perceived bad blood that supposedly existed on both sides. The Game spoke about Sammartino specifically and what he had to do to make the move happen. But getting the Warrior onboard with the Hall of Fame was a much different issue that presented a different set of problems. “Warrior was different because we didn’t have a trust. He and I both said as we went though the process, you live and you learn and you grow. The day you stop learning and growing, you’re done. I was a different person when I was in WrestleMaia with him which people bring up a lot to me as if it’s a sore spot in my career. I had a bad personal experience with a guy at the moment but it was one of the coolest moments of my life. My first WrestleMania was with The Ultimate Warrior. It was a mind bogglingly awesome opportunity for me. Triple H has received the credit for making both inductions possible and rightfully so. Vince McMahon had all but given up on the idea of mending fences with either man, but gave Hunter the chance to reach out anyway. Sammartino joined the Hall of Fame in 2013 and The Ultimate Warrior was inducted a year later in 2014.